The 5th Annual Bentley Scottsdale Polo Championships: Horses & Horsepower is only THREE MONTHS away! In anticipation of the most attended polo event in the United States, we’re counting down the best of the best – from players to puppies, fashion show to art auction – until the big day, October 24, 2015! The action, the fashion, the celebration! This week we’re highlighting the BEST 3 PICTURES of what makes The Polo Party the must-attend event of the year! Tables, tickets & tailgates are filling up quickly, so be sure to reserve your spot today! Phoenix International Raceway All-Star Team vs. My Sister’s Closet All-Star Team battle it out at the 2013 Scottsdale Ferrari-Maserati Polo Championships. Whether you are a passionate polo fan or a new spectator, The Bentley Scottsdale Polo Championships’ fast-paced and action-packed matches will have you cheering until you’re horse! Be a part of the largest polo crowd in the U.S. and see the best of athleticism and appaloosas when six of the sport’s top teams go head-to-head (-to-tail) on the WestWorld field. This year’s event will host Polo Azteca vs. Club Polo Cabo, the San Diego Polo Club vs. the Scottsdale All-Stars Polo Team, and the reigning champions, the Clogau Wales Polo Team vs. the Aspen Valley Polo Club. The Valley’s official Fashion Week may take place the first week of October, but you can see the encore at The World’s “Longest” Catwalk Fashion Show produced by Phoenix Fashion Week! 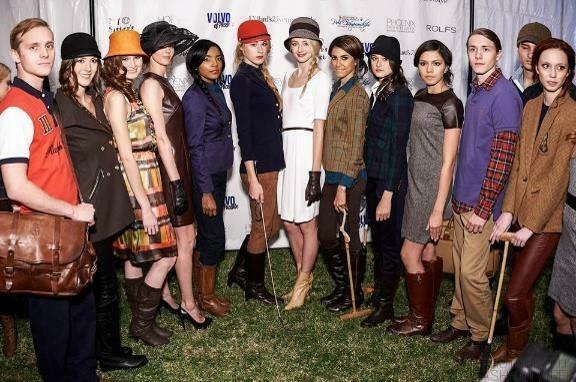 More than 100 models will strut the 200 yard catwalk polo field from end to end, sporting the hottest new threads and accessories from Phoenix Fashion Week’s select designers and local boutiques. Keep an eye out for Champion Polo players Ricky Cooper, Nic Roldan, Melissa Ganzi and others who will make special, fashionable appearances in the show! Women’s World All-Star Polo Team and Clogau Wales Polo Team celebrate with Moët & Chandon at the 2014 Bentley Scottsdale Polo Championships. What goes best with Horses & Horsepower? Champions and champagne showers! 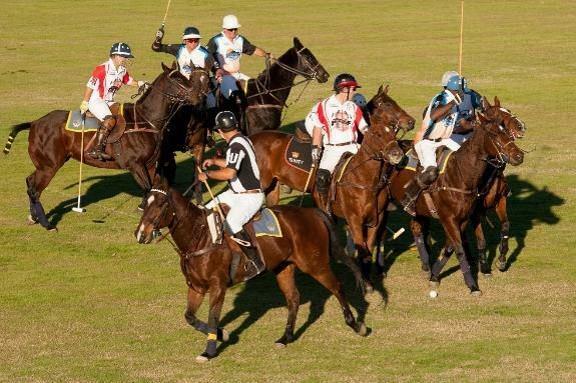 Everyone will feel like a winner when they celebrate in one of The Polo Party’s premiere VIP pavilions and lounges. Tickets are now available for The Moët Champagne & Jazz Lounge, Molina Fine Jewelers Drivers & Players VIP Lounge, The Picasso Pavilion & Larsen LIVE Art Auction Lounge and The Phoenician High Tea Tent – why not take the reins with an ALL-ACCESS PASS? Don’t miss out on the action this year! Tickets, tables, tents and sponsorship information available at www.ThePoloParty.com!